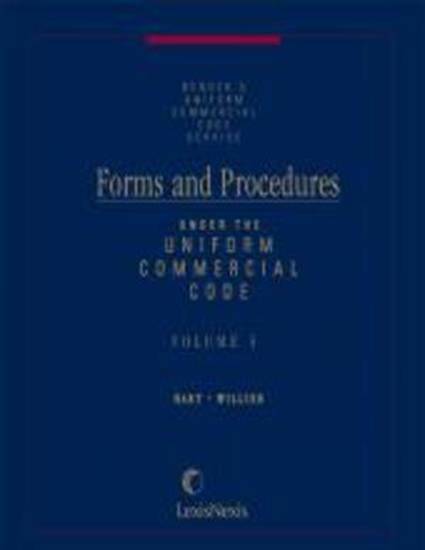 Complete guidance and procedural analysis regarding both the mechanics of completing UCC related forms and the substantive law connected with those forms. It is an invaluable resource for the practitioner, containing forms consistent with the requirements and terminology of the Code, as well as commentary and primary source materials. Basic forms are featured by Article, and are varied by alternative and optional clauses. Commentary is structured around the forms, and explains when, how and why the form should be used as well as the substantive results of their use.